BRYAN EATON/Staff photo. 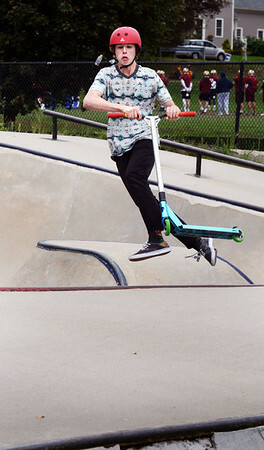 Jimmy Gore, 14, of Newburyport goes through some moves at the Newburyport Skatepark behind the Nock Middle School. He was several friends at the park which opened 16 years ago.